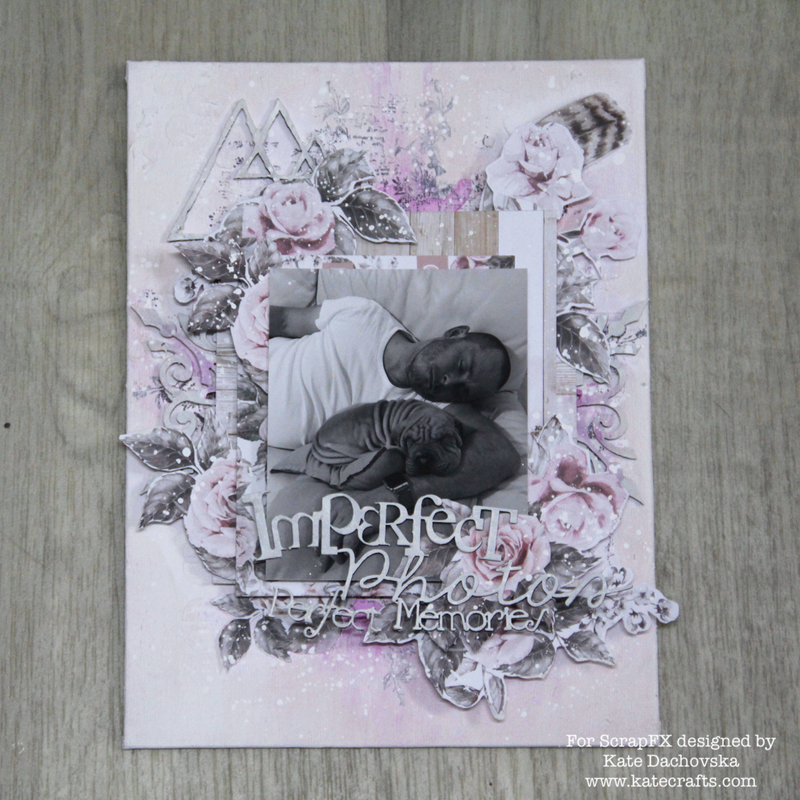 I would like to share with you two projects today, romantic canvas and cards. 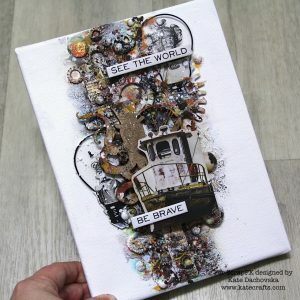 Canvas is very easy I applied Paper paste with Mark Makinb B Vees stencil. 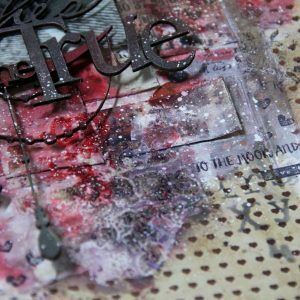 Than I lightly sprayed background with Tattered Angels Glimmer mists sprays and used white gesso to light it. 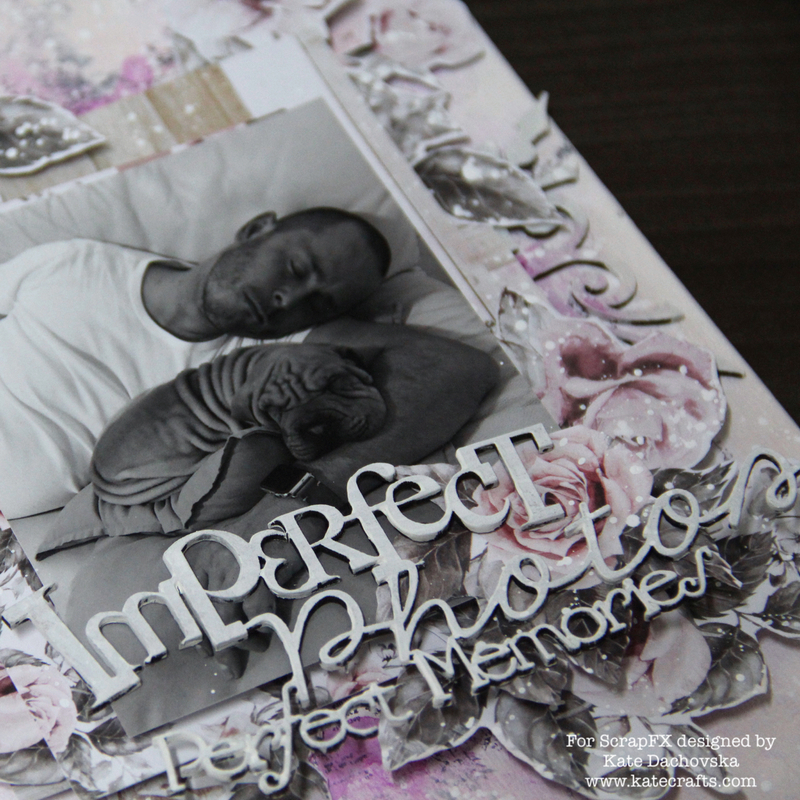 At photo there is my hubby and our puppy sharpei Dobby (it is almost 2 years ago). 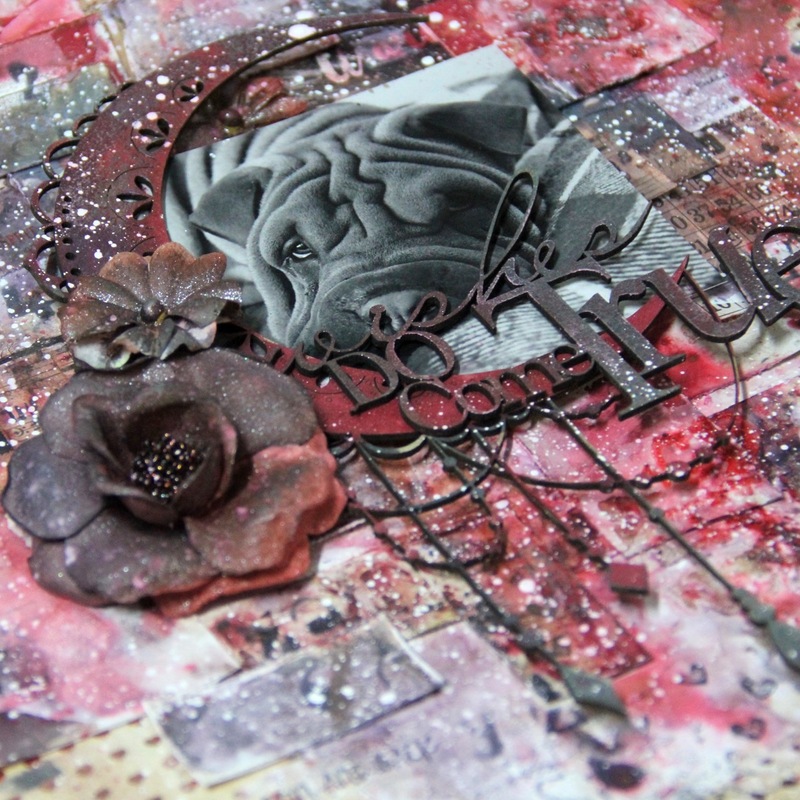 I fussy cut many roses from Prima paper. 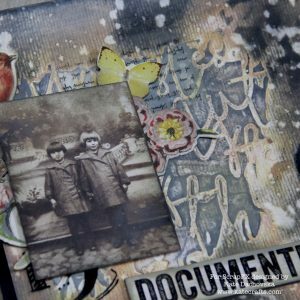 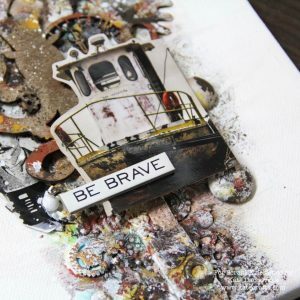 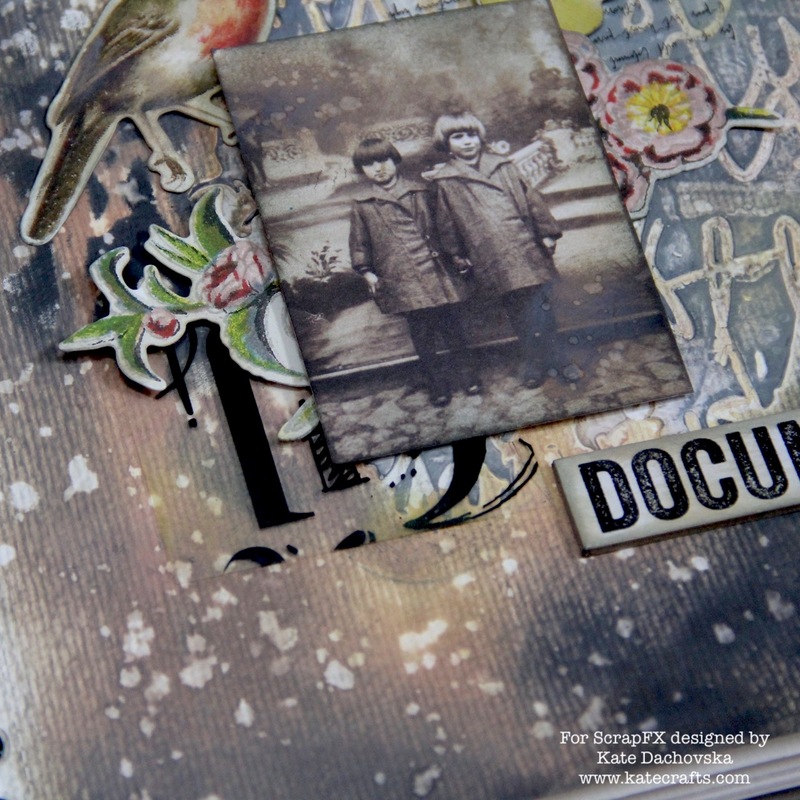 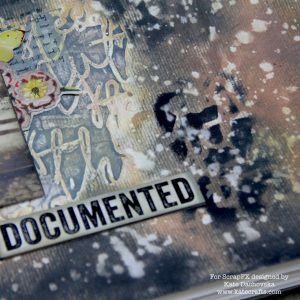 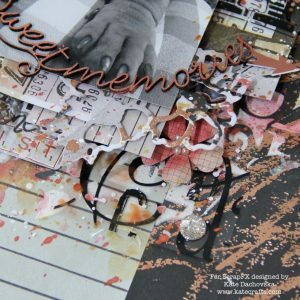 At background there are chipboards – Sketchy triangles and Flourish L diamond – which I heat embossed with white embossing powder, the same I did with sentiment Imperfect Photos Perfect Memories. 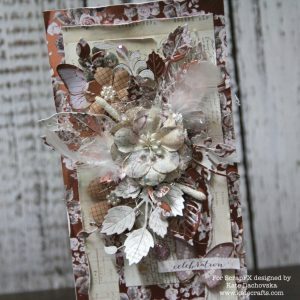 For my cards I used the newest Prima Marketing papers. 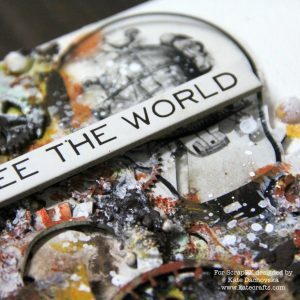 I made longer very layered cards. For their background I used Mini Flourishes chipboards which I heat embossed with white embossing powder. I like tiny chipboards they add even more interesting to my projects. 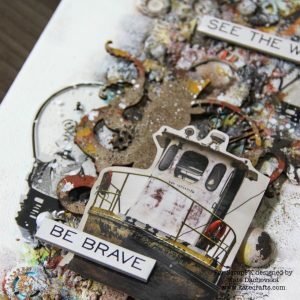 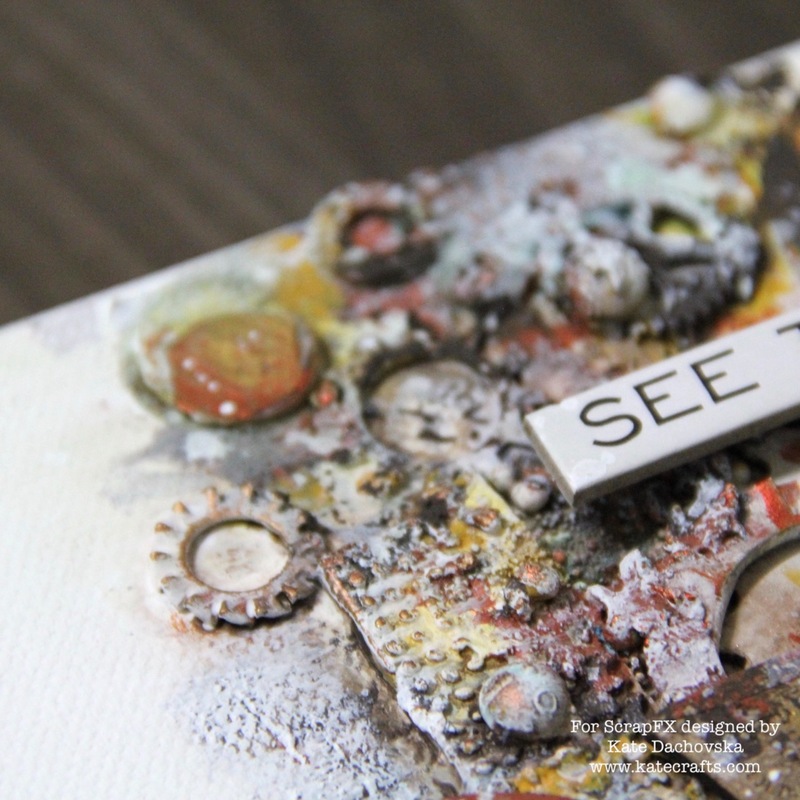 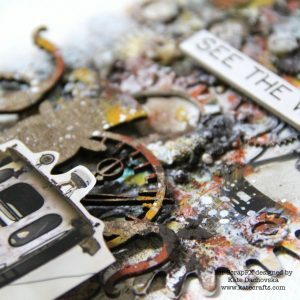 This entry was posted in Scrap FX and tagged canvas, cardmaking, mixed media, Prima Marketing, Scrap FX. 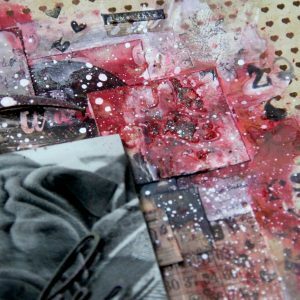 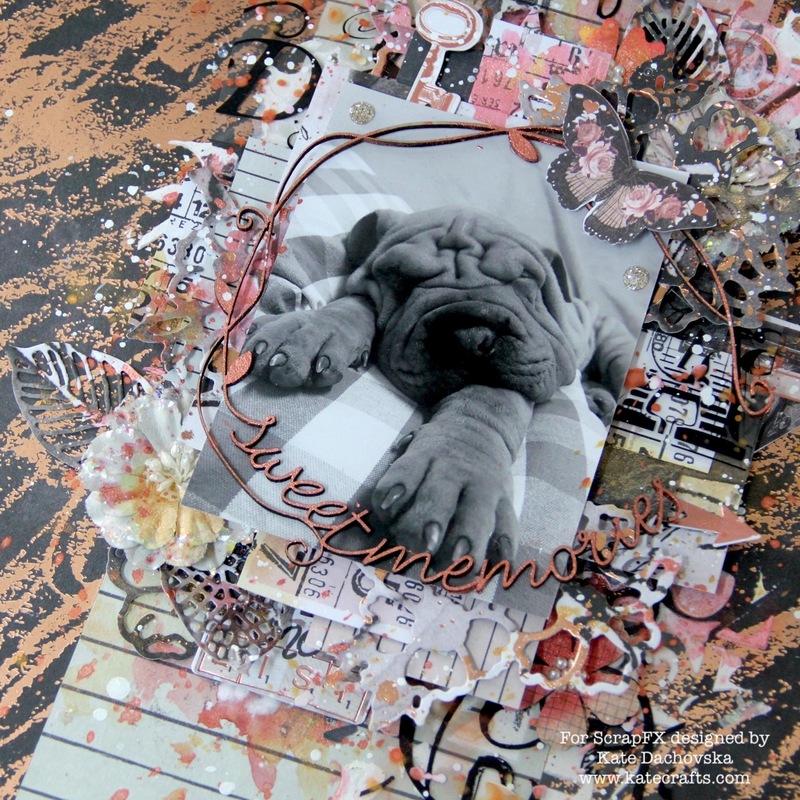 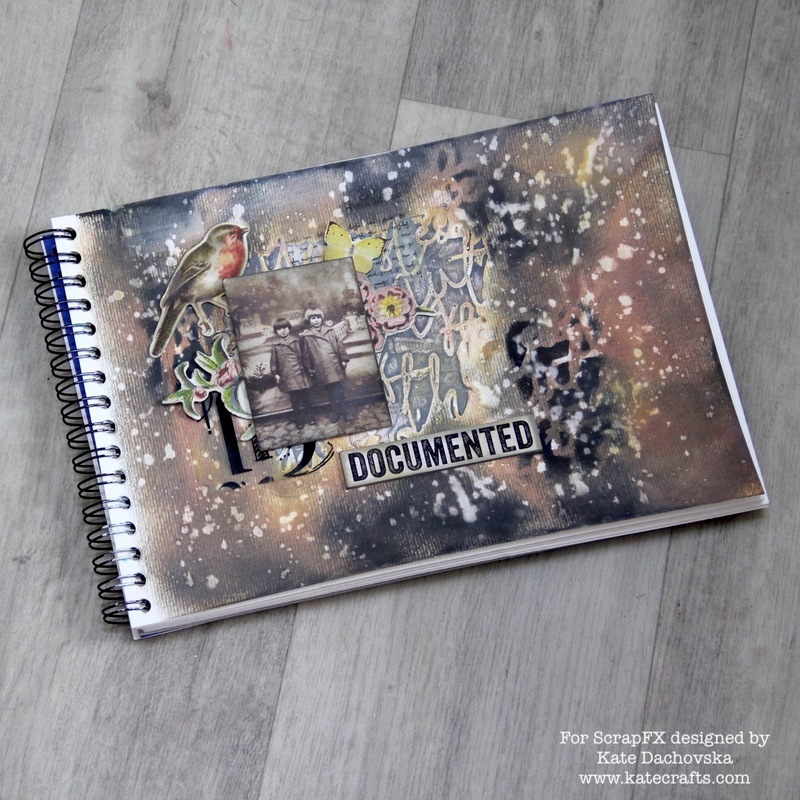 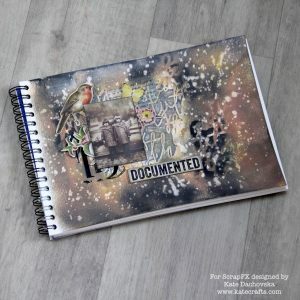 today I have for you 2 projects, layout with our younger dog sharpei Dobby and art journal. 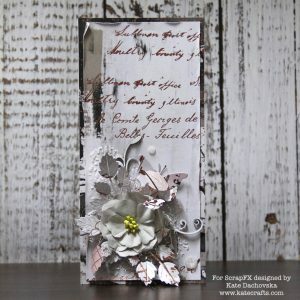 For my layout I used Prima marketing papers and ephemera and dies and flowers. 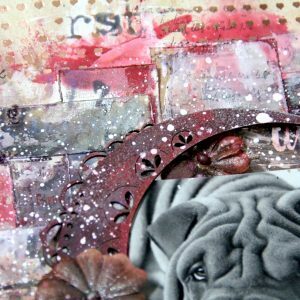 At background I used awesome ScrapFX stencil – Script phrase stencil. 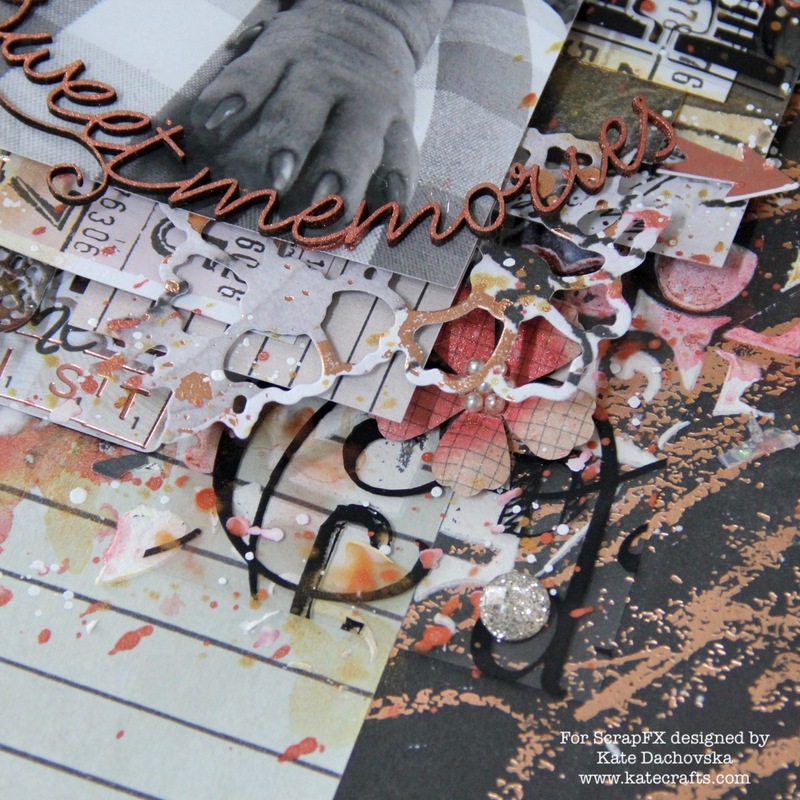 I also used Number collage small stencil and Sweet memories frame. 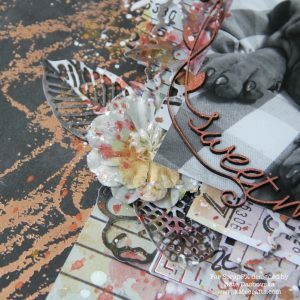 I love to work with ScrapFX transparencies and here I used Alphabet collage transparency. 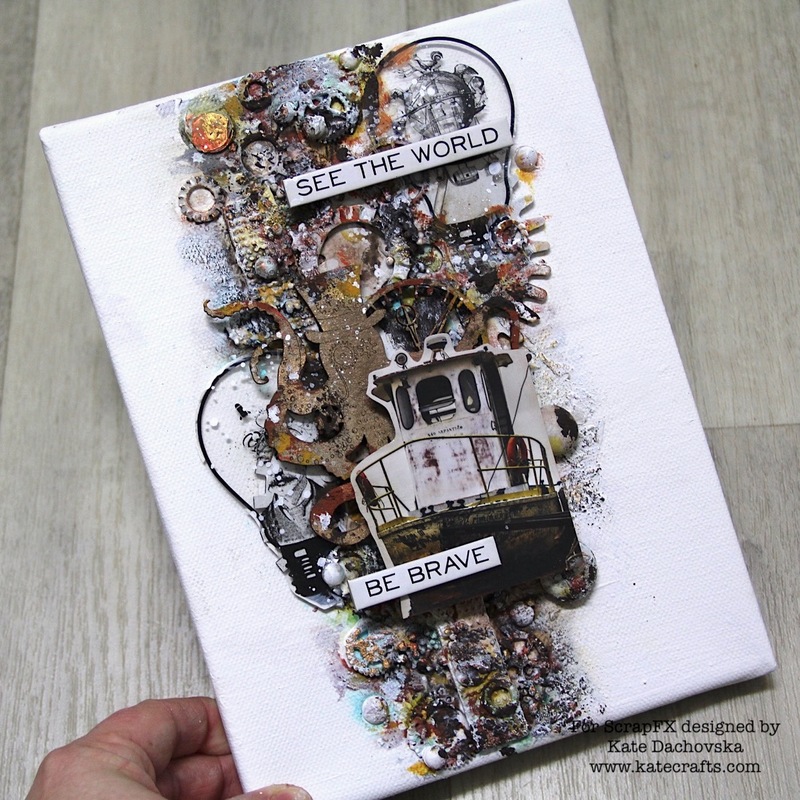 Colours are made with Colourcraft acryclic shimmer sprays and for white splatters I used white acrylic paint. 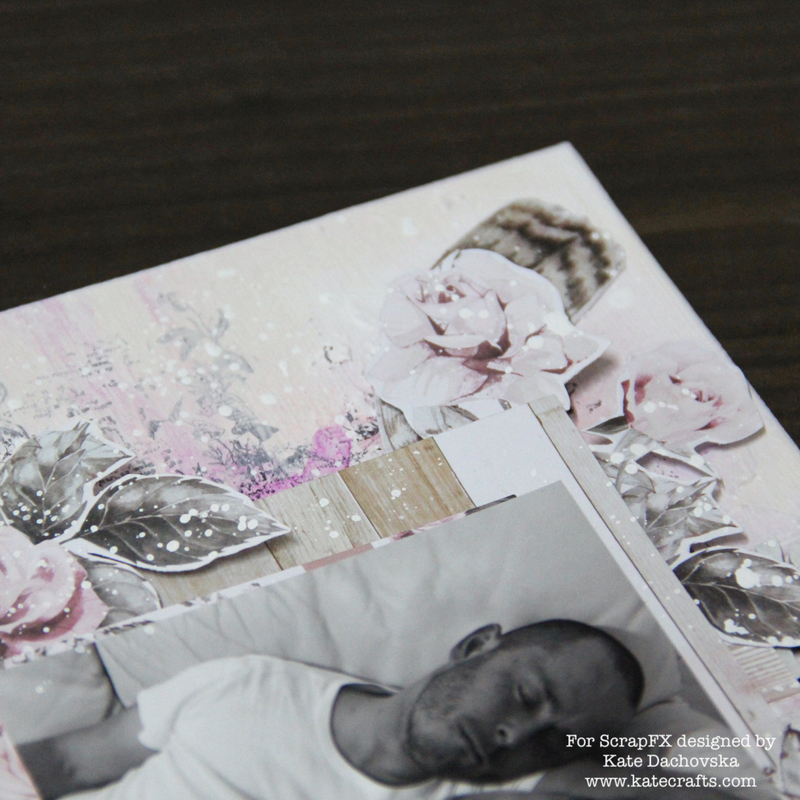 It is quite simple layered layout. At my art journal I played with Distress oxide inks (Vintage photo, Walnut stain, Fossilized amber, Black soot). 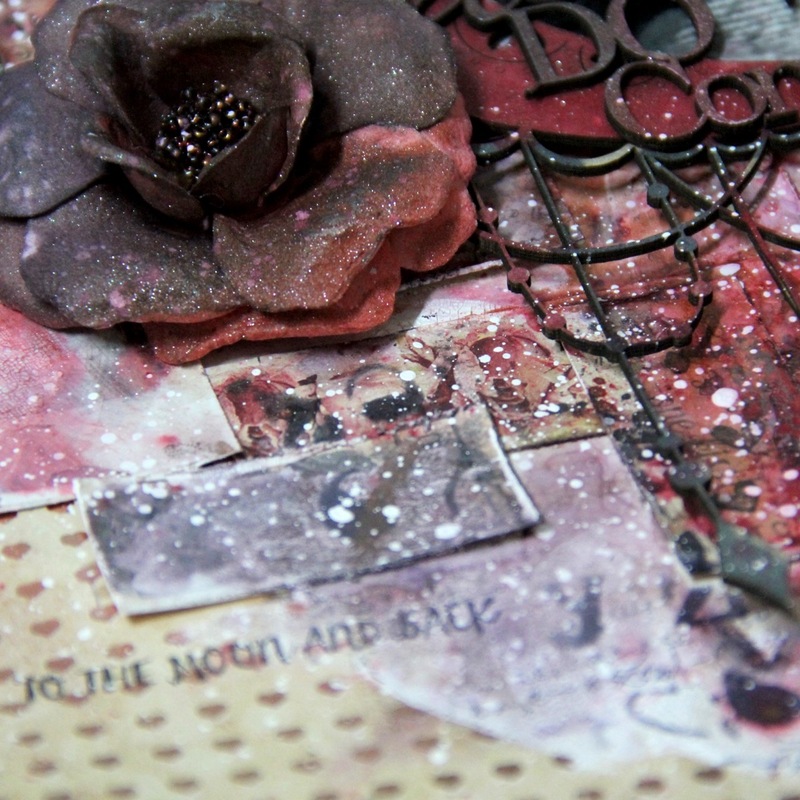 For background I used structure paste (I tried new Finnabair Plaster paste it is quite cool paste with nice effect on paper) and Script phrase stencil. 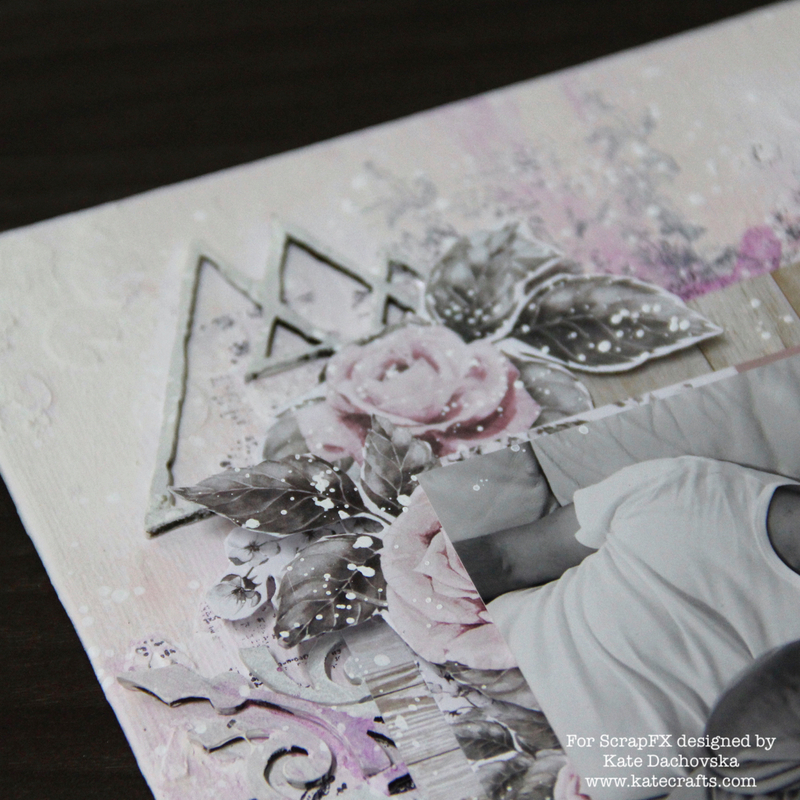 Instead of stamping I used transparencies – Alphabet collage transparency and Script transparency. 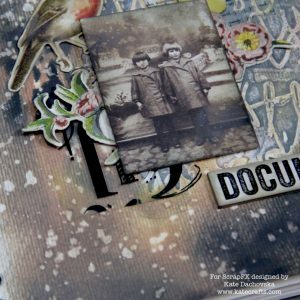 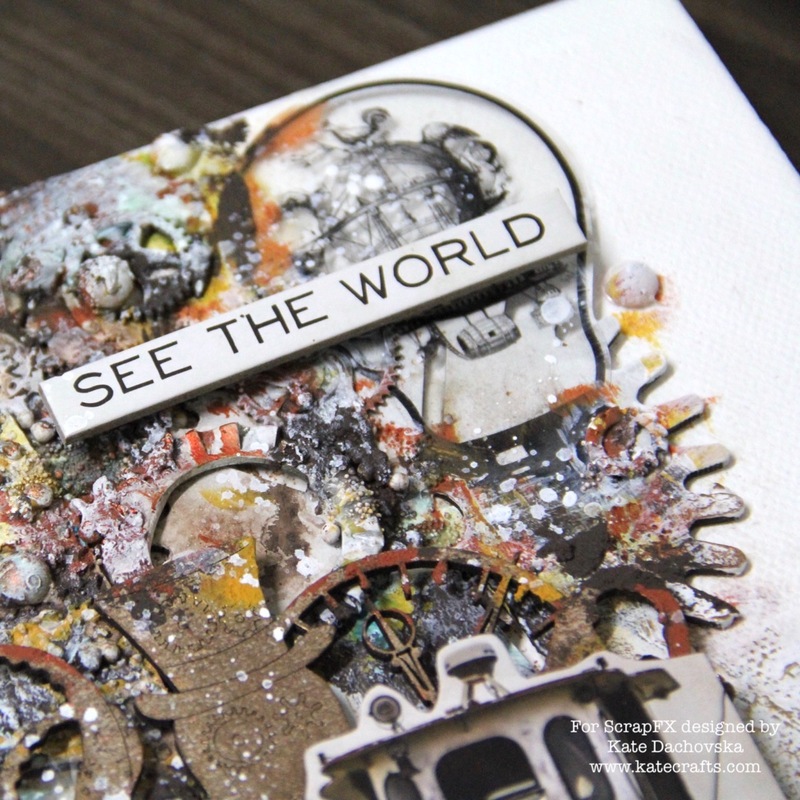 All paper ephemera are from Tim Holtz. 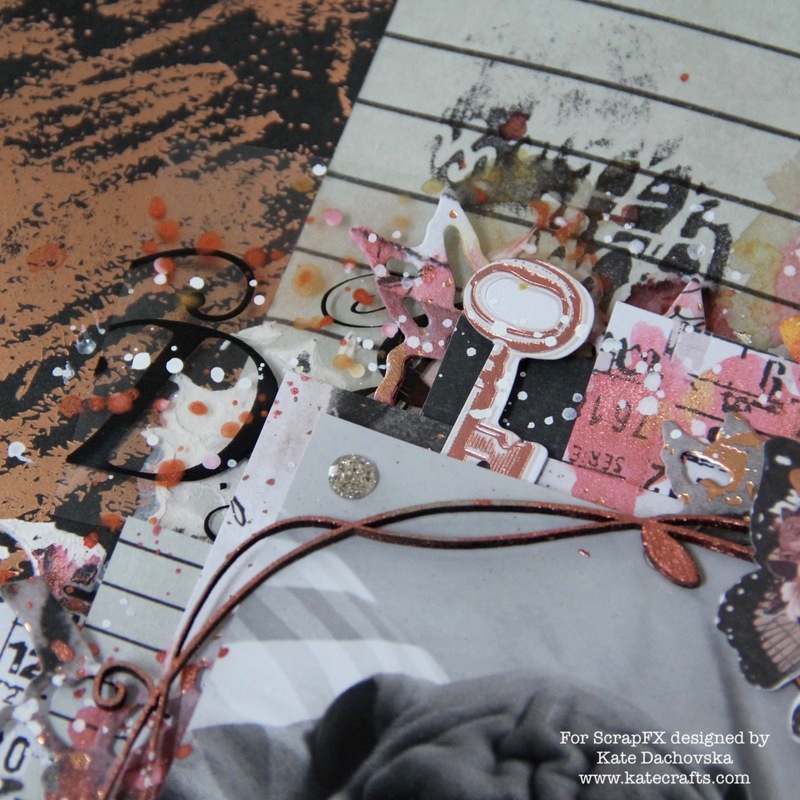 I think that with this art journal I really step away from my comfort zone but I love final page. 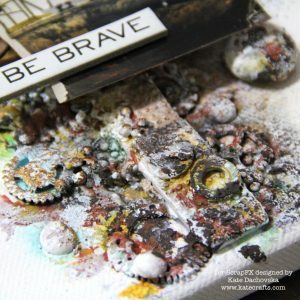 That oxide effect from Distress oxides makes it really interesting. 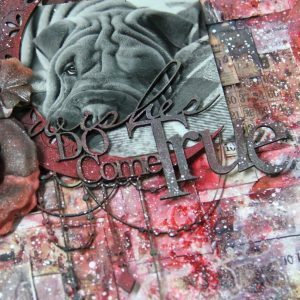 This entry was posted in Scrap FX and tagged Colourcraft, layout, mixed media, Prima Marketing, Scrap FX. 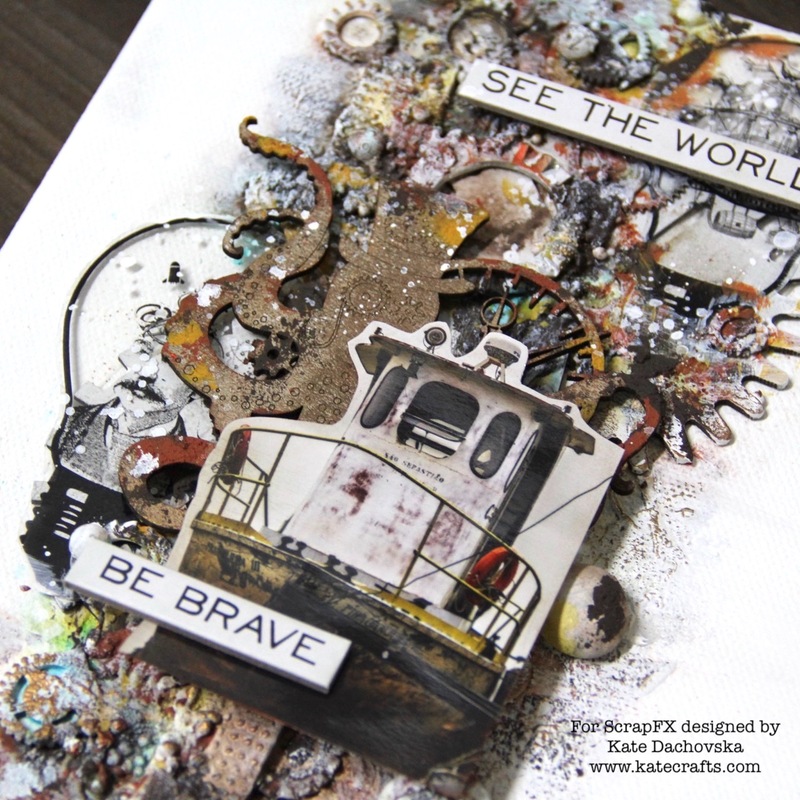 This canvas was really challenge for me because I never did steampunk canvas. 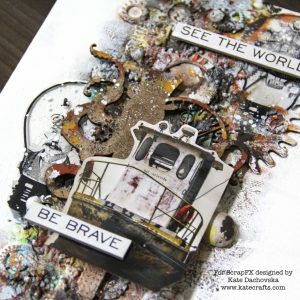 I had that photo (source Freepik) quite long time and new release for January was great to start with steampunk crafting. It is not complicated project. The first layer as usually is white gesso, than I applied structure paste through new stencil. Than I glued different embellishments and art stones which made awesome structure. 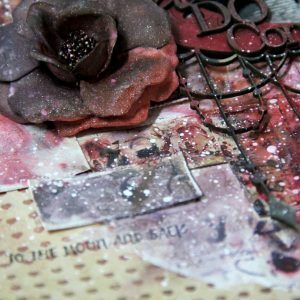 I did some stamping and the main part was playing with Tattered Angels Glimmer mists in combination with pastes from Finnabair – Rust paste. Final splatters are made with Ecoline white watercolour and sentiment is by Tim Holtz. Whole list of material is at the end of my blog post. 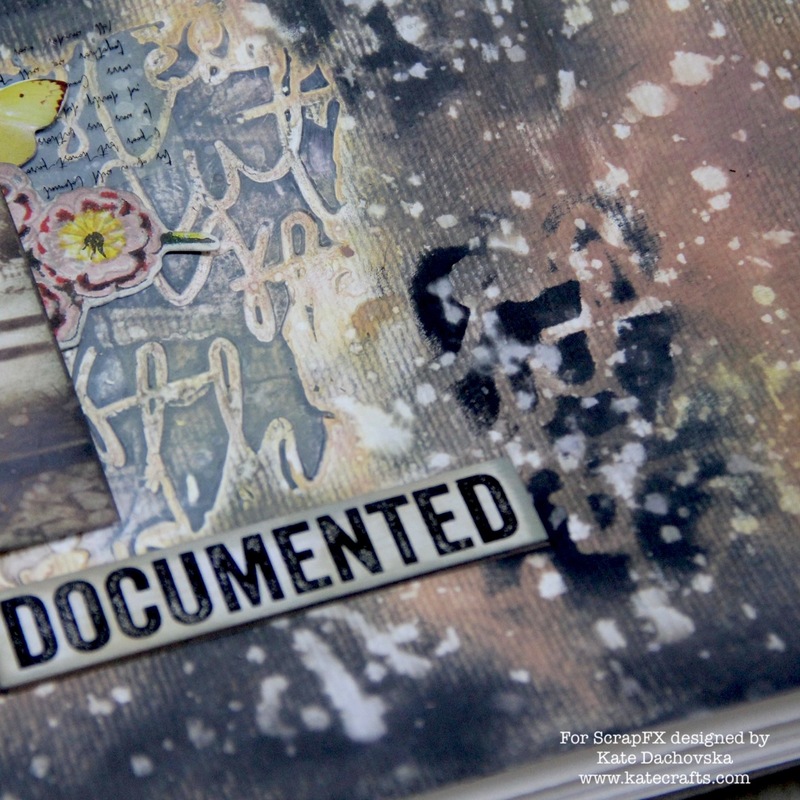 This entry was posted in Scrap FX and tagged canvas, Finnabair, mixed media, Prima Marketing, tattered angels. 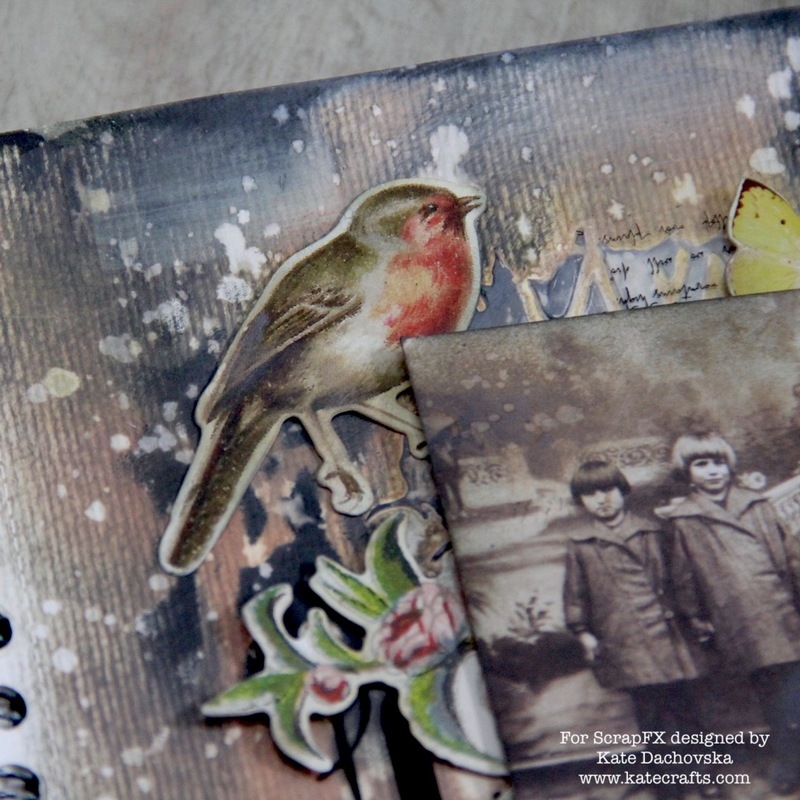 are you relaxed after Christmas or you are looking forward to normal days after New year? I love Chrismtas but I also love our calm house without guest. You know. So for today I prepared mixed media layout. There is our sharpei Dobby on photo. I used amazing chipboards – Crescent Frame and Wishes do come True. 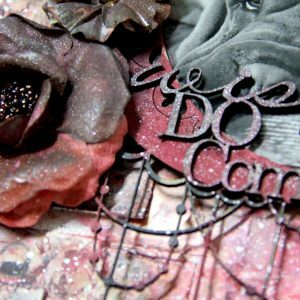 Chipboards are painted with Tattered Angels Glimmer mists. For background I used Prima Marketing papers and stamps and flowers. It is quite heavy background but sometimes it is great to have dirty hands of nice paints. 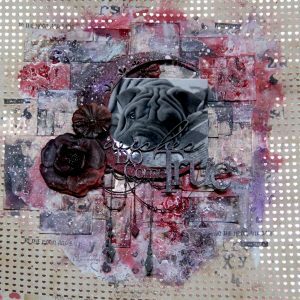 White gesso (Pebeo), Texture paste, Waxes (Prima Marketing), White watercolour (Ecoline), Tattered Angels – High impact paint – white, Tattered Angels Glimmer Mists – Crimson, Sienna, Afraid of the dark. 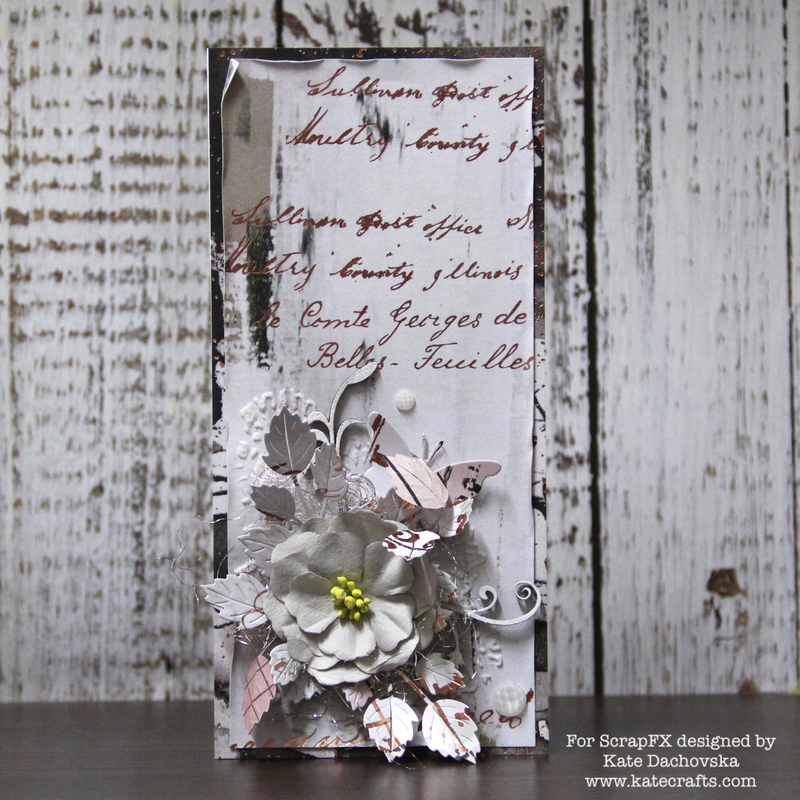 Archival ink, Prima papers, stamps, flowers. 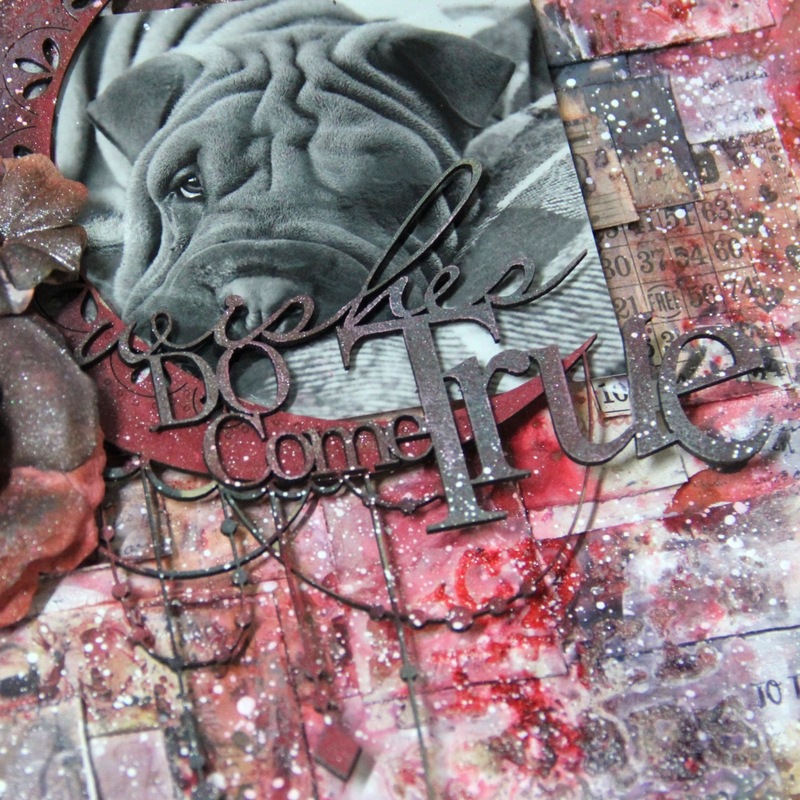 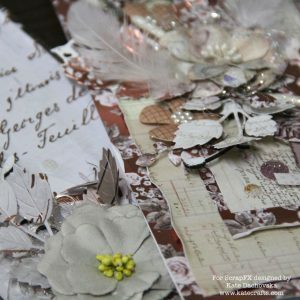 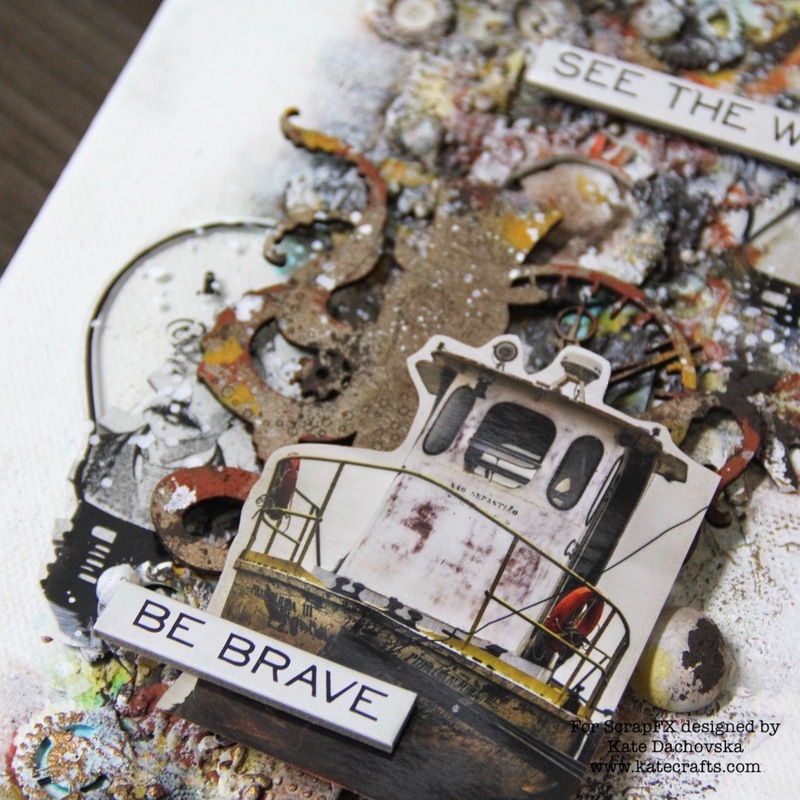 This entry was posted in Scrap FX and tagged Finnabair, layout, mixed media, Prima Marketing, tattered angels. I used Stitched Rounded Rectangle Dies. 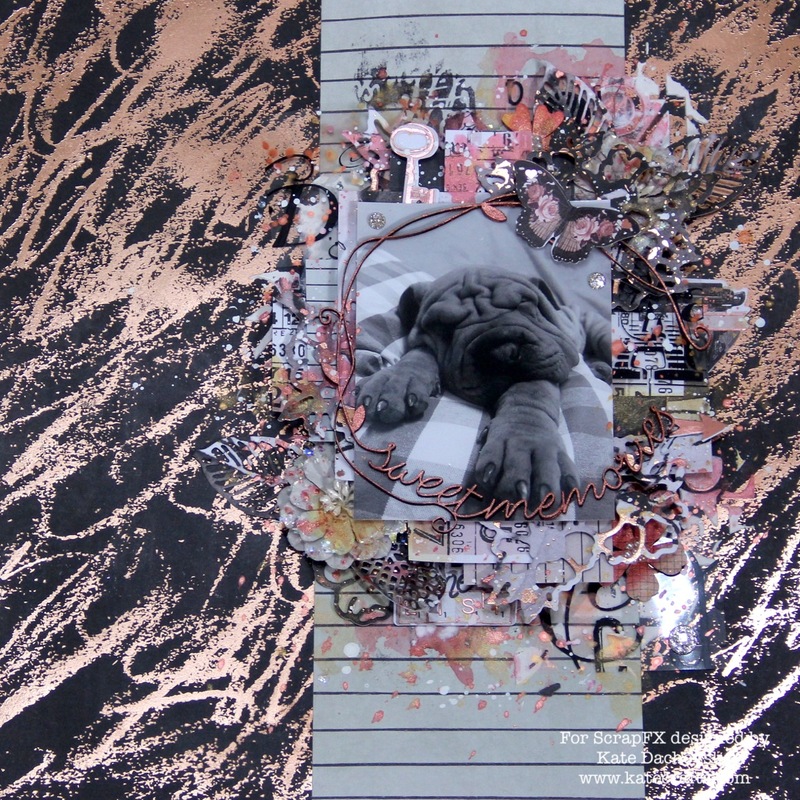 For background paper – the first layer – I used paper from paper pad Beach babe. 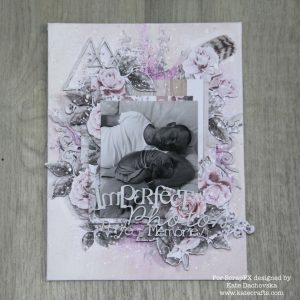 All products you can buy by clicking on image. 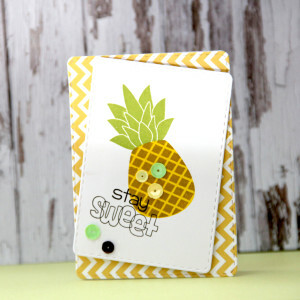 I cut rectangle, than I stamped pineapple with Color Philosophy ink – sepia, wasabi, lemonade. I stamped sentiment with Versa Fine onyx black ink and added some sequins. 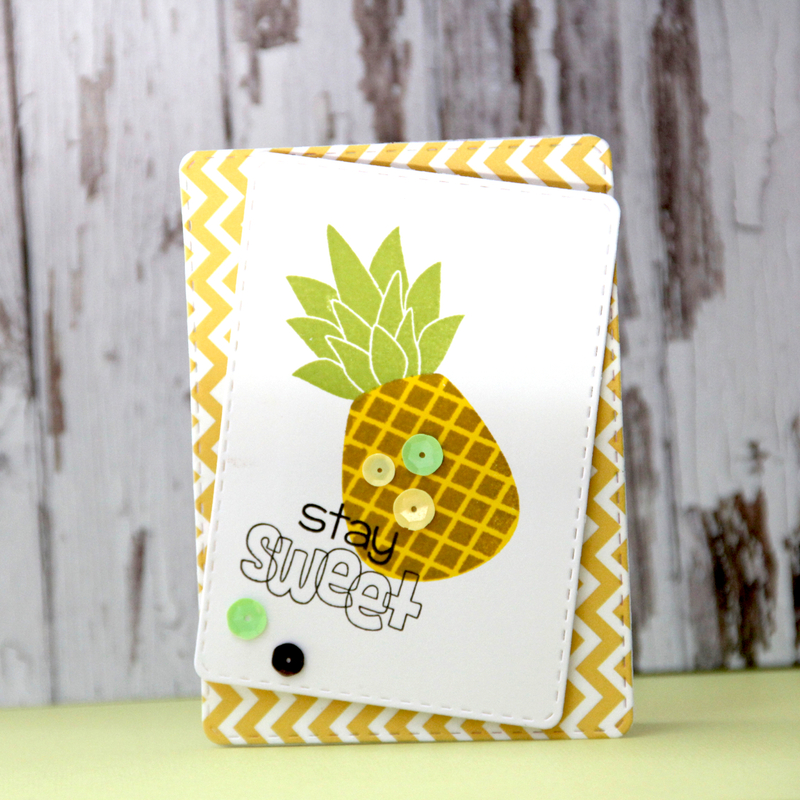 Easy fast card. 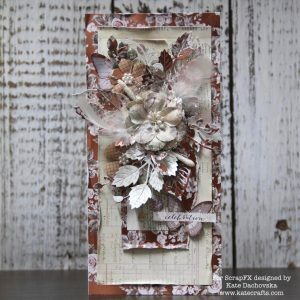 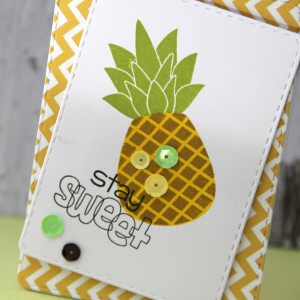 This entry was posted in Pink and Main and tagged cardmaking, Pink and Main, Prima Marketing.